Angular lines, aluminium sheets, metal support beams, external semi-frameless glass balustrades…are you thinking what I’m thinking??? If you said ‘industrial chic’ we’re on the same page! Moving on…what makes ‘industrial chic’ complete? Keeping the balustrade glass clean and clear. This is a must! Especially is this important when it’s a prominent feature of your street frontage. With land prices in the city causing many a jaw to drop it’s not uncommon for modern homes to share the fire wall. This can make cleaning the outside of your high windows risky or near impossible without encroaching on your neighbour’s space. This proved no obstacle for our Get It Clean team (and we didn’t need to ask your neighbour for permission to set up a ladder)! Well equipped with extendable, water-fed poles and manoeuvrable squeegee heads we made light work of this tricky access challenge. Now just for a moment, try to imagine yourself cleaning these glass balustrades on BOTH sides at a height! Perhaps you don’t have to imagine. 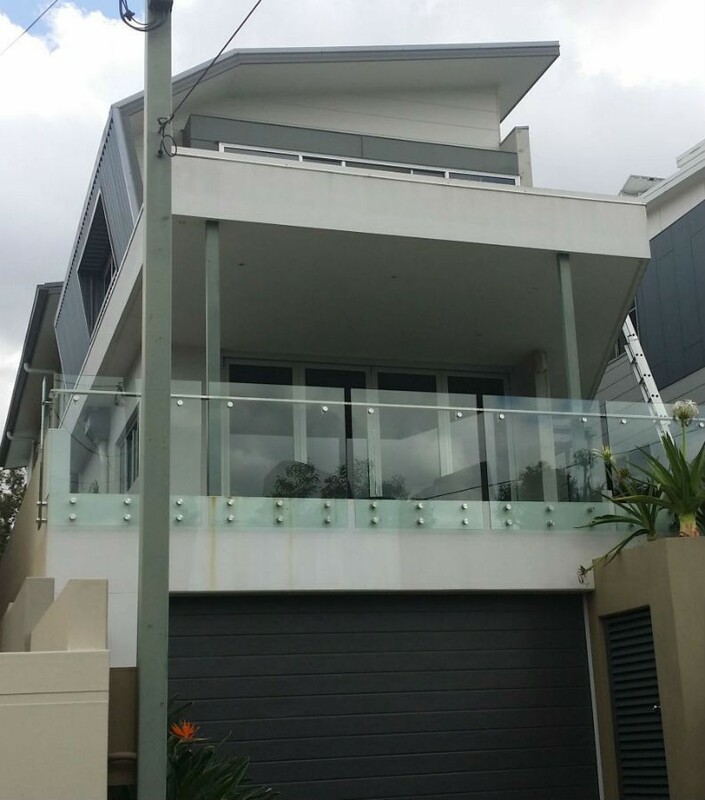 Is this the reason you are searching for a professional window cleaner with experience in handling glass balustrades or tricky access windows? Search no further! Give us a call and schedule a visit for your free quote.